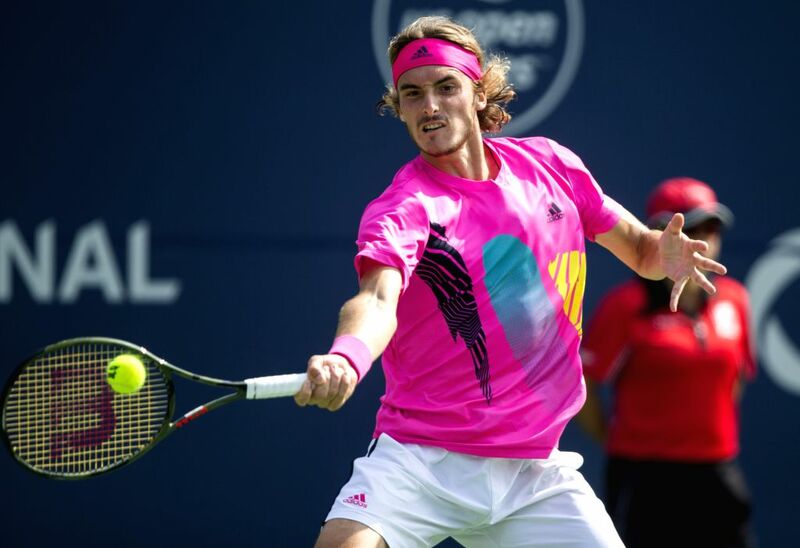 TORONTO, Aug. 12, 2018 - Stefanos Tsitsipas of Greece returns a shot to Kevin Anderson of South Africa during the semifinal match of men's singles at the 2018 Rogers Cup in Toronto, Canada, Aug. 11, 2018. 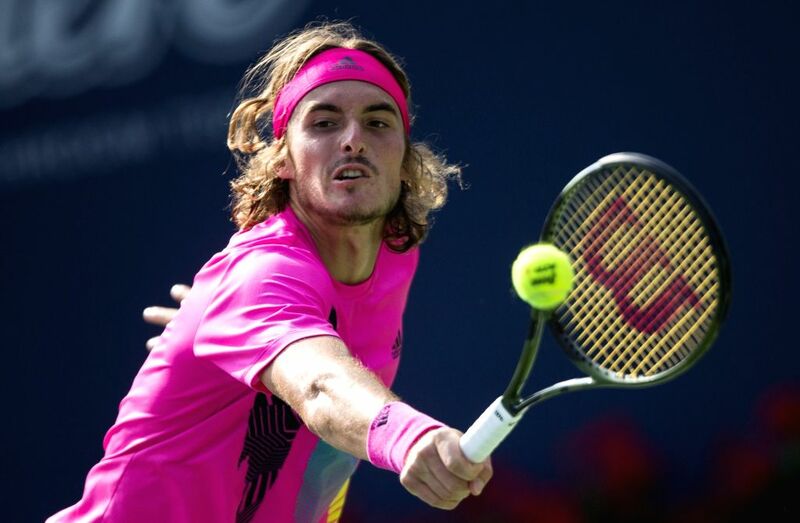 Stefanos Tsitsipas won 2-1. Kevin Anderson of South Africa returns a shot to Stefanos Tsitsipas of Greece during the semifinal match of men's singles at the 2018 Rogers Cup in Toronto, Canada, Aug. 11, 2018. 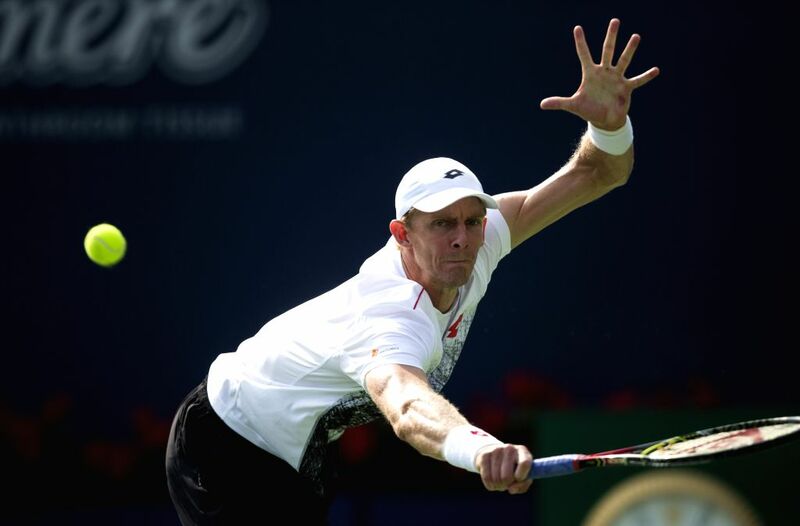 Kevin Anderson lost 1-2.